In order to give clients the level of service they expect & deserve Tim finds it vital to have a team. 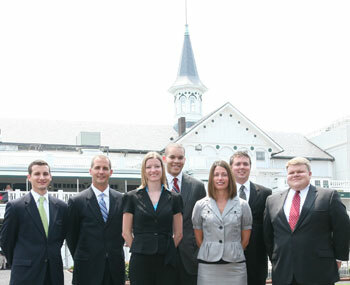 His team consists of Mark Kull, Rob King, George Kraft, Matt Moore, Jason Guinn, and Melissa Allgeier. If there is ever any questions you need answered Tim knows that his team will be glad to help. Jason Guinn joined the team in April of 2008. He is a graduate of University of Louisville and completed the internship with Northwestern Mutual while attending. Jason is an avid golfer, enjoys spending time with his family and cheering on the University of Louisville Cardinals. Jason assists with completing personal needs analysis, illustrations and moving applications through the underwriting process.